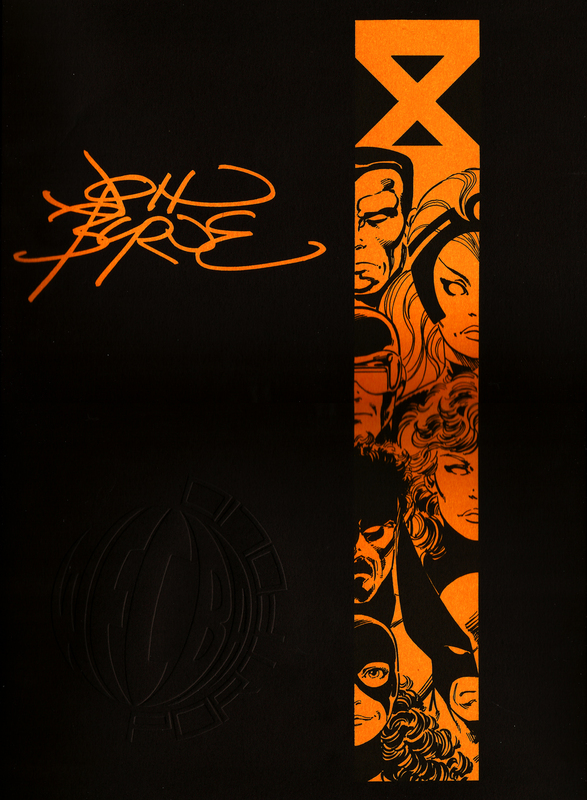 John Byrne X-Men portfolio (1993) | 'TAIN'T THE MEAT… IT'S THE HUMANITY! 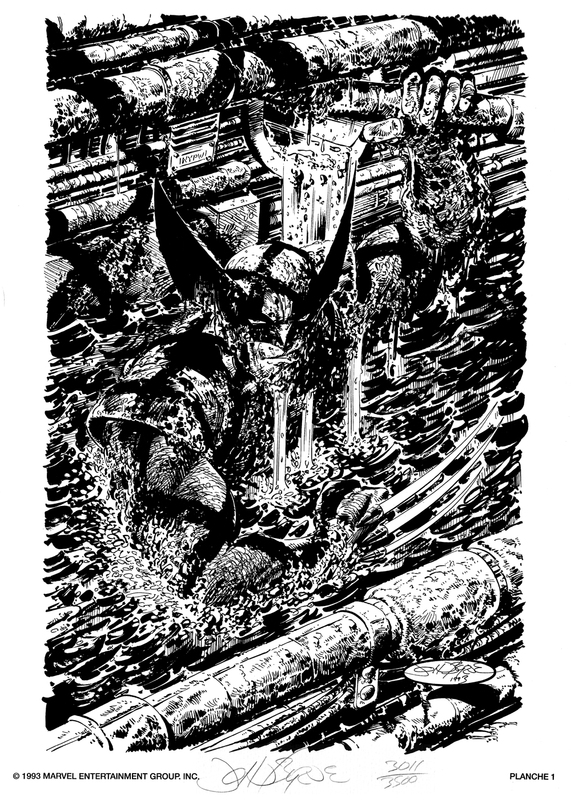 Here’s another Marvel Comics portfolio from my collection. 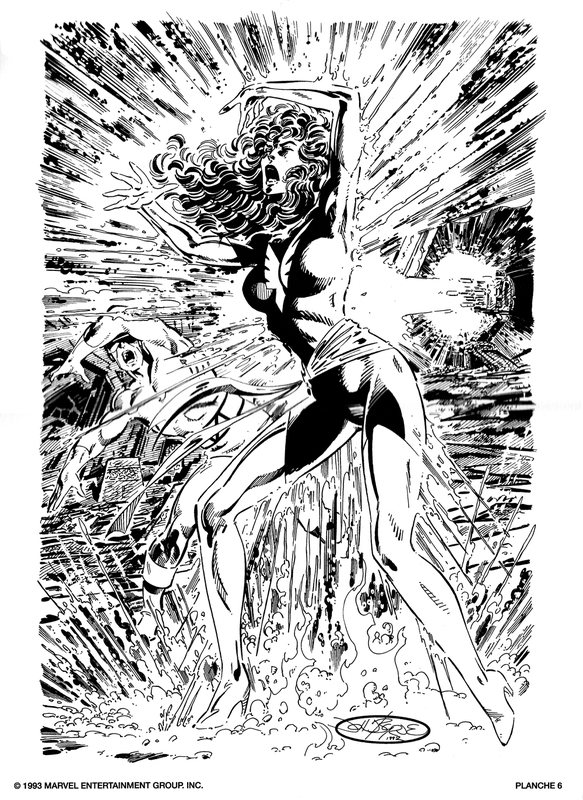 This set was released in 1993 by WECBA Portfolios and contains six 11.5 x 16in black and white plates by artist John Byrne featuring images of The X-Men from his and writer Chris Claremont’s groundbreaking run on the title in the late ’70s and early ’80s. The portfolio’s print run was limited to 3,500 and this set is numbered 3,011. 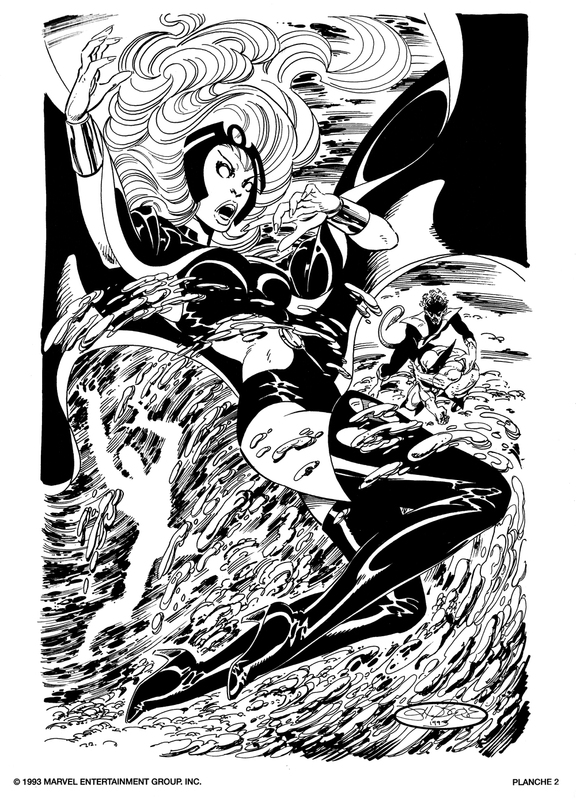 Plate one is a recreation of the last panel from Uncanny X-Men issue 132 (originally published in April 1980), plate two shows Storm, Wolverine and Nightcrawler’s encounter with Proteus from issue 127 (November 1979), plate four depicts Sprite’s battle with the N’ Garai demon from issue 143 (March 1981), plate five is a recreation of the cover from issue 116 (December 1978) and plate six shows the death of Jean Grey from issue 137 (September 1980). 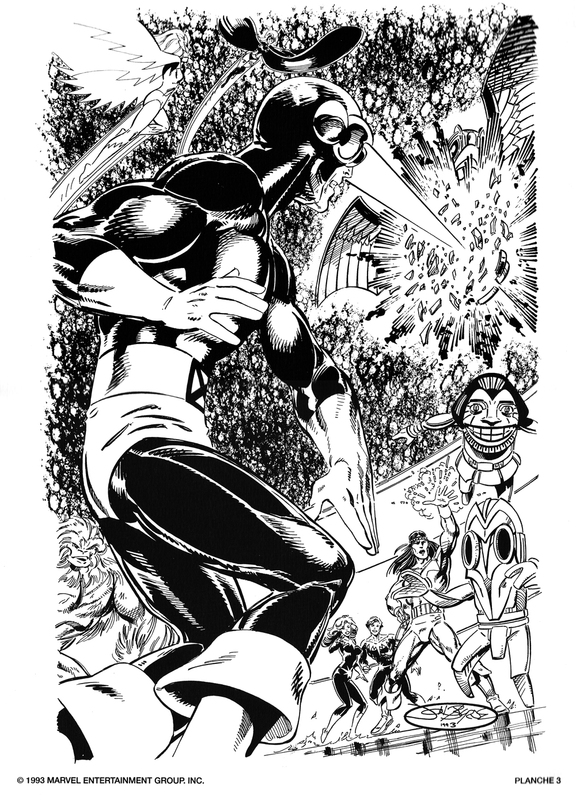 As for plate three, it features Cyclops and some of the members of Alpha Flight. I don’t recognise it from any back issue of the X-Men so maybe the image is inspired by a story from the Canadian team’s own title. The plates were printed on bright white watercolour stock and the repro on each image is very good – these prints are clearly meant for framing. 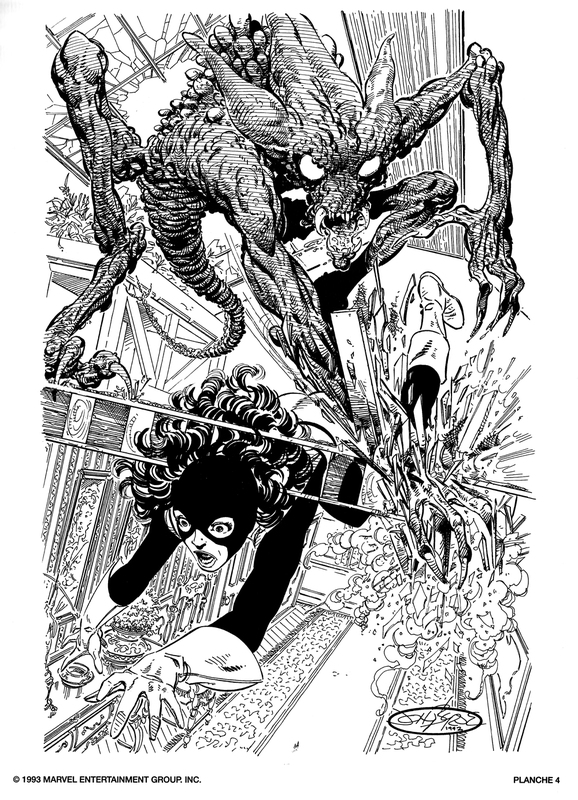 There is no credit for an inker and judging by the pencil style I suspect Byrne inked the plates himself (I find his style is always a little looser and more fluid when he inks over his own pencils). All six prints shipped in a sturdy back and orange folder with the WECBA Portfolios logo embossed on the cover and a brief biography for the artist on the inside flap. 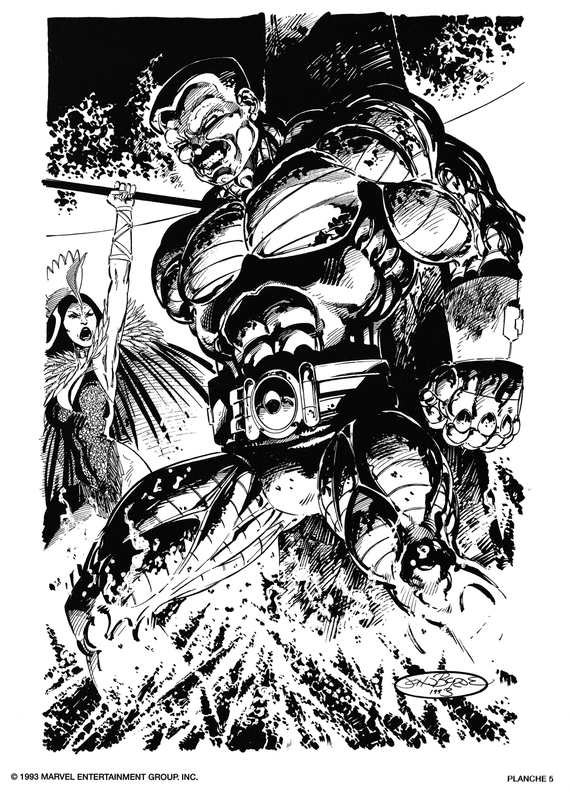 As impressive as the portfolio is the pride of the set has to be first plate as it not only features one of the most iconic images of Wolverine but is also signed by Byrne. I have a selection of signed print’s hanging in my office and this is easily one of my favourites.